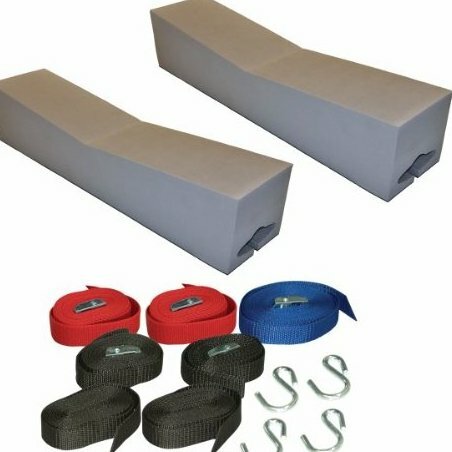 Two durable 14"-long closed cell foam blocks to protect kayak and vehicle. Two durable 14 inches long closed cell foam blocks to protect kayak and vehicle. One strong polypropylene strap with chromate buckle to secure kayak to carrier. Includes two specially-designed straps for front and rear tie-downs. Same features as Abr525.